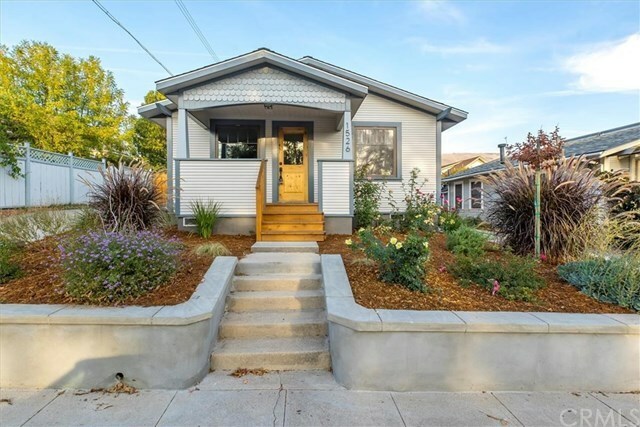 Amazing opportunity to own a single level, craftsman home located on one of the premiere downtown San Luis Obispo streets. Enjoy all of the amenities of being close to downtown, yet situated on a quiet street in a well established neighborhood. This 2 bedroom, 2 bath home, with an office, has been completely rebuilt and remodeled throughout, including a practically new foundation, new electrical, new plumbing, new sewer line, and new Milguard windows. Newly remodeled kitchen is light, bright, and open which is perfect for entertaining, features include: granite counter tops, stainless Samsung appliances, Chesnut floors, and shakar cabinets. Enjoy the views of Cerro San Luis and downtown SLO from the front porch or take in the privacy and serenity of the back yard. You don't want to miss this one! Directions: Take Marsh north to Garden. Right on Garden, house is a few blocks down on your left between Buchon and Islay.